Learn how to display time entry notes in your reports. 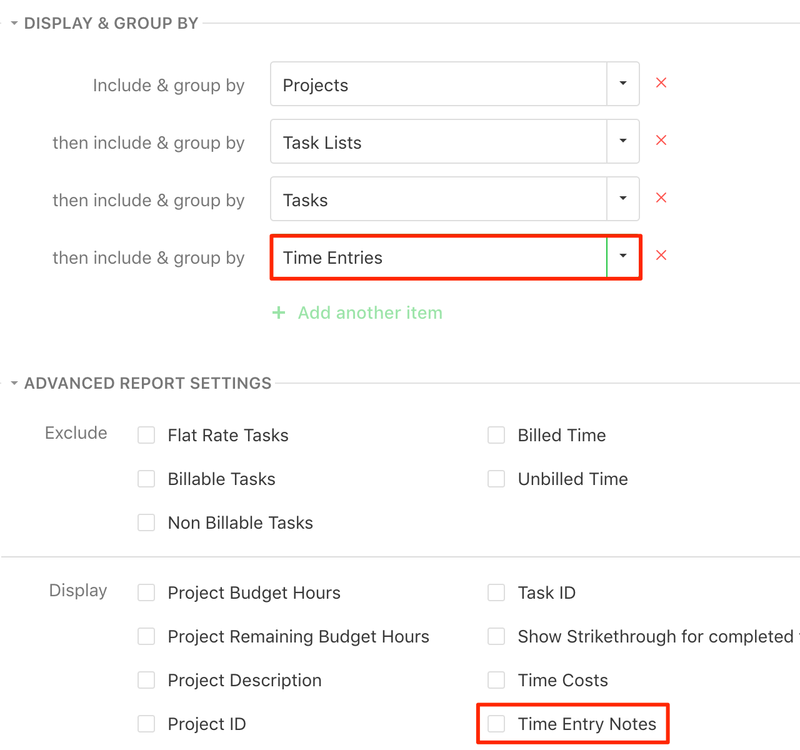 When creating the Time report, in order to display the time entry notes, you need to select to include both Time entries and check the include time entry notes option as well from the Display area. Note: this is a premium feature available only on the paid plans.